Father’s Day is just a week or so away! Have you got the special dad in your life something memorable or something he will love? 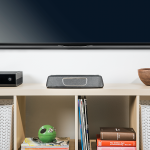 If you are still looking for ideas, then check out our super Father’s Day guide, it’s packed full of gifts, gadgets, drinks and more! 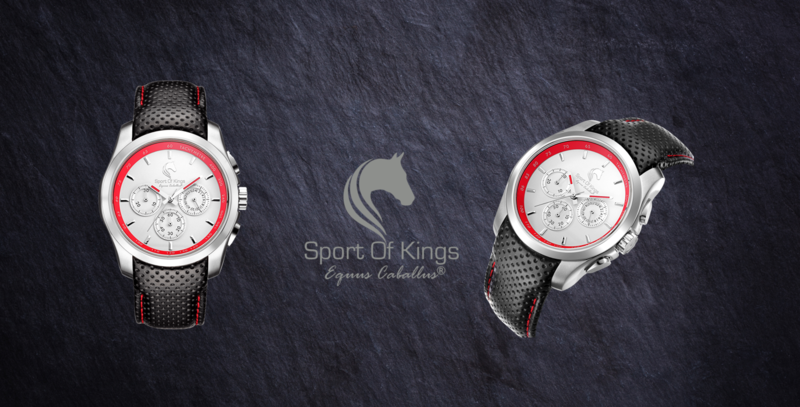 Sport of Kings specialise in high-end equestrian inspired time pieces with a sense of style and charm. The Winning Post is one of the latest watches in their horse racing inspired range and retails for £289. Perhaps, if you father is a watch fan and a racing fan, this watch would make for the perfect Father’s Day gift for 2018. An exquisite piece, the curved sapphire glass and silver case gives a high-end feel. The analogue clock face is 43mm in size and is water resistant to 5 ATM. Nestling within you will find a Japanese Miyota Chronograph movement. The attention to detail here is superb. 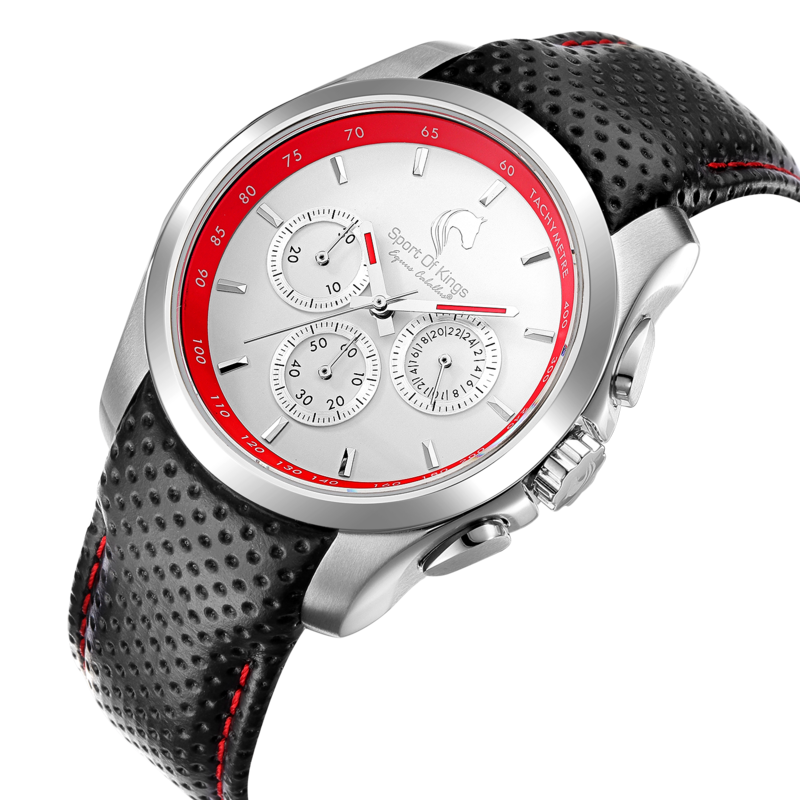 The face is accompanied by a strap which features perforated black Italian leather and red stitching. If you want to, there is the option of changing the strap here, although we would suggest that the original strap is sophisticated enough for our tastes. To explore the range in more detail visit here. If you are going to give your dad a pair of socks this Father’s Day, then why not make them the best socks out there! The One for Me, One for my Dad includes one pair of the London Sock Company’s gentlemanly ‘Simply Sartorial’ style in miniature form, as well as one pair for dad. 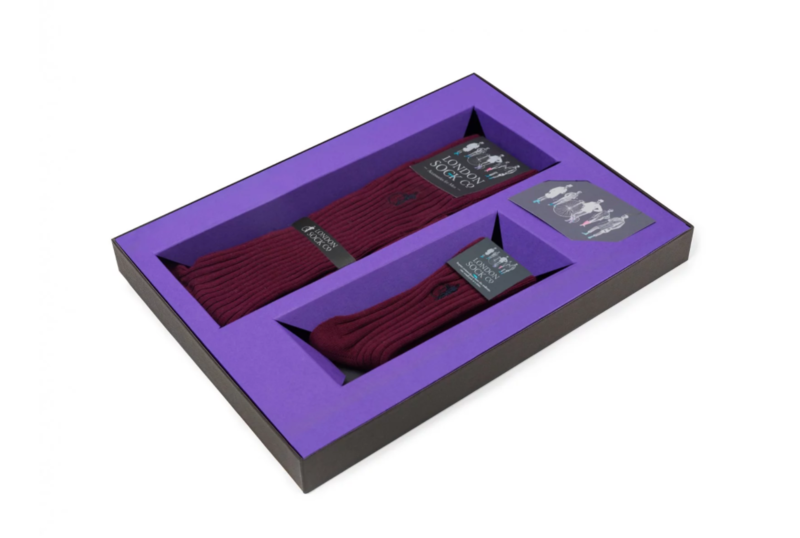 Both pairs are in our classic British gentleman colour of Rich Burgundy and come delicately wrapped in a black gift box. Finely knitted using luxury Scottish Lisle Cotton, these limited edition socks are as comfortable and stylish for little feet as they are for big. Langley’s No. 8 is an ideal gift for any gin loving dad out there. Named No.8 due to this being the 8th rendition of Langley’s London Dry Gin, it has a wonderful balance and superb botanical presence. Sitting at 41.7% proof, there is a smoothness to this gin and it excites us! A 100% English grain spirit and distilled only once, this gin has real character. Ground nutmeg, angelica root, cloves and cassia bark all provide a well-rounded experience for both the palate and the nose. A gin we will certainly be adding to our collection! 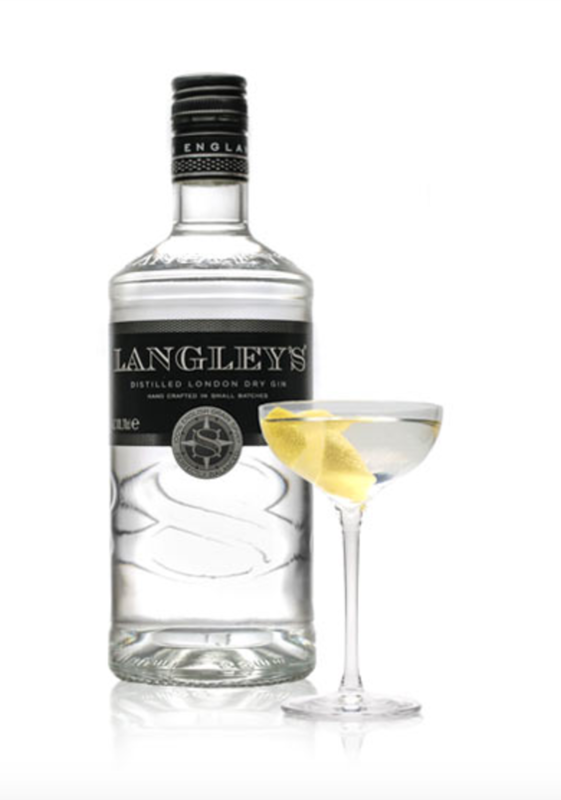 Langley’s No.8 is particularly smooth and echoes all of the classic hallmarks of a good London Dry gin. 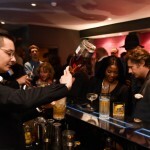 The suggested serve for this great gin is a Dry Martini Cocktail, find out how to make it below. Perfectly capturing the botanical notes of the gin, the Langley’s No.8 Martini delivers a perfect balance of citrus, juniper and spice in the smoothest fashion. Excites the most reluctant of martini palates. Pour the 70ml Langley’s No.8 gin over the ice. Stir approx. 50 times. Fine strain into a chilled martini glass. 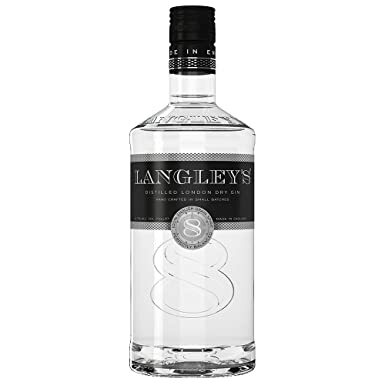 Langley’s No.8 is available nationwide Ocado, Asda, Morrisons, Selfridges for £30. The Ted Baker Delset Wash Bag And Towel Set In Black is the ideal gift for the dad on the go. A textured faux leather wash bag with a contrasting blue and grey striped woven panel on the front gives it great detail and sophistication. A grey faux leather carry handle at the side of the wash bag with the signature Ted Baker London logo printed on the front in silver. The towel features an overall leaf design in navy and grey with pink panels at each end. Andersons Woven Belt In Blue is a great accessory for Father’s Day gifting. A woven elasticated strap in blue, navy, grey and black with a brushed silver coloured metal pin buckle. The Oral B Genius boasts being the most advanced tooth brushing system to date. Utilising Protection Detection Technology the cutting edge toothbrush users sensor technology and your smartphone camera to track the toothbrush across your mouth. That means no missing areas and instant feedback as to how you are progressing. Simply download the Oral-B App (available on Google Play and iTunes) to enhance your brushing experience at the touch of a button. The kit comes with a smartphone holder too, so you can place you smartphone facing you on your mirror and ensure you make the most of the guidance from the app. The result of this astounding technology is the best, professional results everyday. Wave good bye to tooth decay and tooth loss! 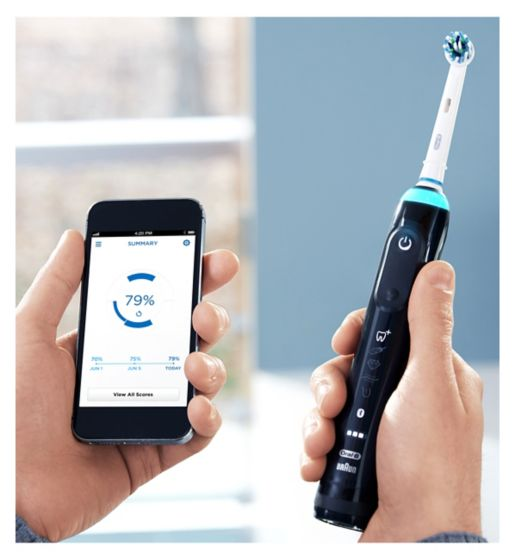 But the app and the UPD technology isn’t the only benefit of this toothbrush, it also comes with a two minute timer, a pressure sensor to see if you are using too much pressure while brushing and there is a range of heads to select from too. 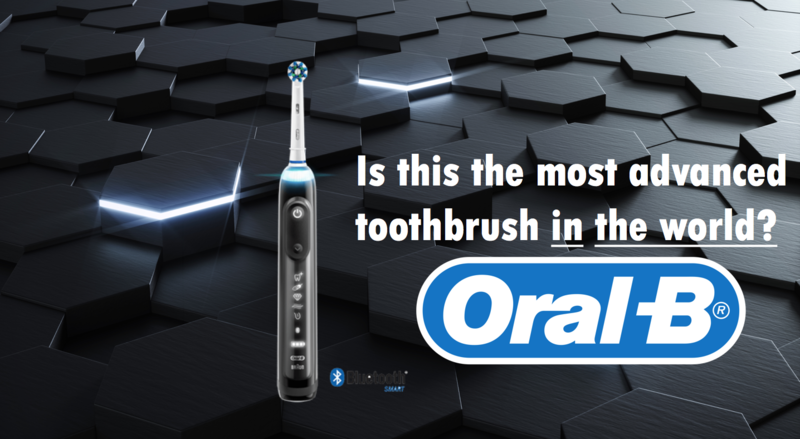 The toothbrush is built with a superb pedigree of technology behind it and the best in dental care. The Oral-B Oscillating-Rotating-Pulsating Technology and the unique round brush head means improved oral health and a superior dentist-worthy clean. The 9000 comes with stylish smart travel case which charges both the brush and a USB device, such as a smartphone. This portability is pretty impressive. We have seen toothbrush cases that charge the toothbrush, but not one with an out for charging other devices on the go. Genius. Another thing to note is the battery life of the toothbrush itself. The on-board lithium ion battery promises two weeks of brushing between charges. Considering there are two of us in our house, the 1 week we got out of the battery does seem to tally with the brand’s claims. 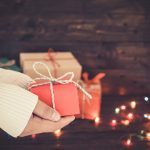 Why not give the gift of fine crystal this Father’s Day! You may not know this, but Dartington Crystal is the UK’s only remaining crystal factory, yes, that’s right! Ever since 1967, this Devon based company has been crafting the finest crystal in the country. 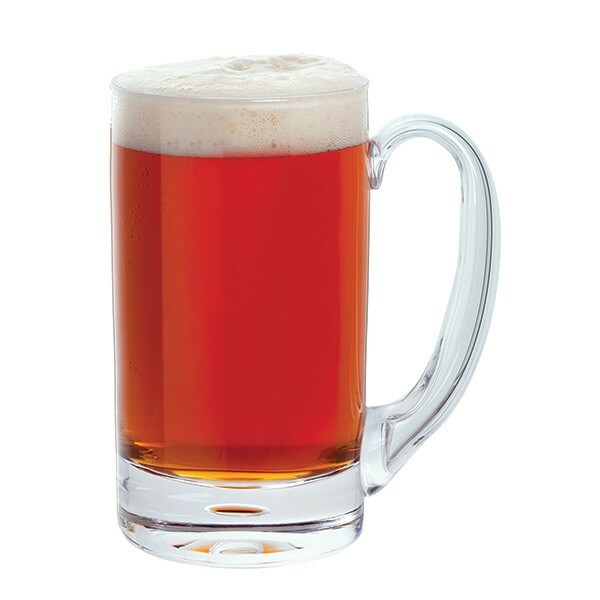 The Exmoor Tankard and the Torrington Tankard are exemplary gifts for any beer, ale or lager fan. 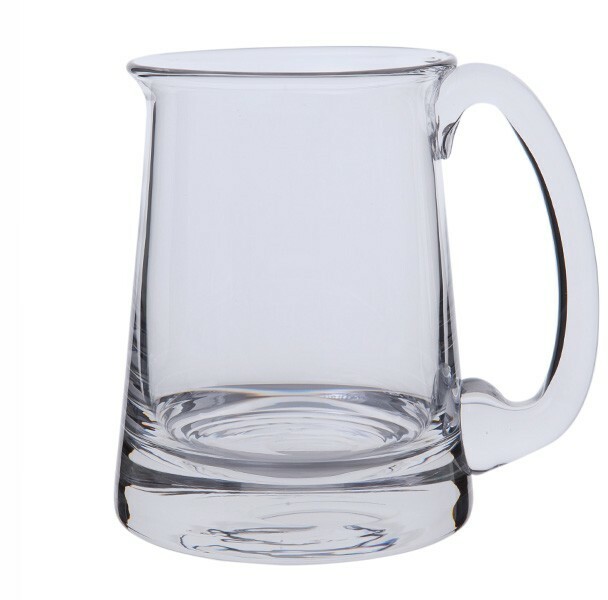 Wonderfully weighted, crafted with elegance and full of style, these are tankards to be reckoned with. Why not add a personalised engraving for only 30pence a letter too. 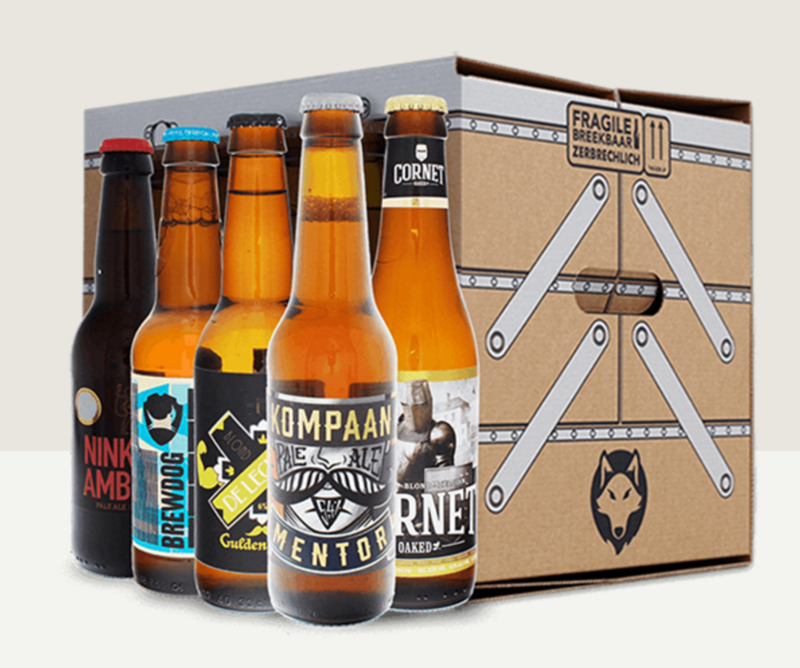 Beerwulf is the go to craft beer specialists online. They have over 600 beers from 150 plus craft brewers across 20 plus countries to pick from. Now that is something to get excited about! This Father’s Day, why not treat your loved one to a truly terrific selection of the world’s very finest beers. Plus, they will be delivered straight to the front door! 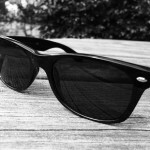 The Father’s Day 20 pack is Beerwulf’s most comprehensive offering designed just for dad’s. Including a truly scrumptious and strong IPA called Spicy Roger and a range of other beautiful beers from 9 brewers, this is hard to beat as top present! Ranging from £25.95 to £ 36.95, their Father’s Day packs are the ideal gift for any beer lover this Father’s Day. Plus, get £5 off when you spend £25 using code discount5. Buy here. 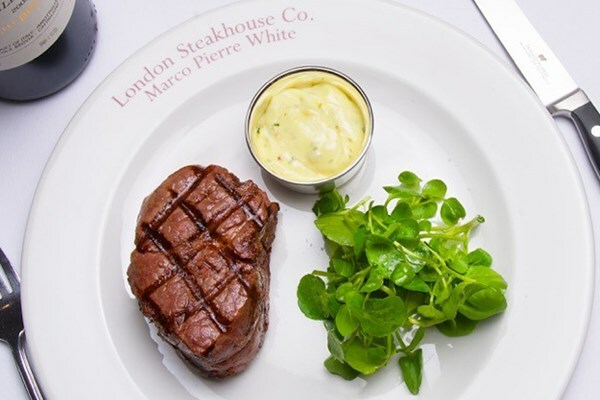 Famed for steaks and classic English fare, Marco Pierre White’s lavish London Steakhouse Co. restaurants are ideal places for a truly memorable eating experience to share on Father’s Day. As the name would suggest, there is a mouth-watering selection of fine quality house cut steaks on offer, together with Marco’s unique interpretations of other traditional recipes. With the choice of melt in the mouth puddings to enjoy, you’re sure to leave your taste buds tantalised. 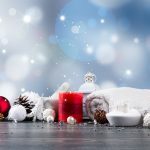 Enjoy a seasonal cocktail and three-course meal inclusive of a starter, main course and pudding, at either the Kings Road Steakhouse and Grill in South Kensington, or The City’s MPW Steak and Alehouse. 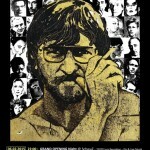 Available from BuyAGift. 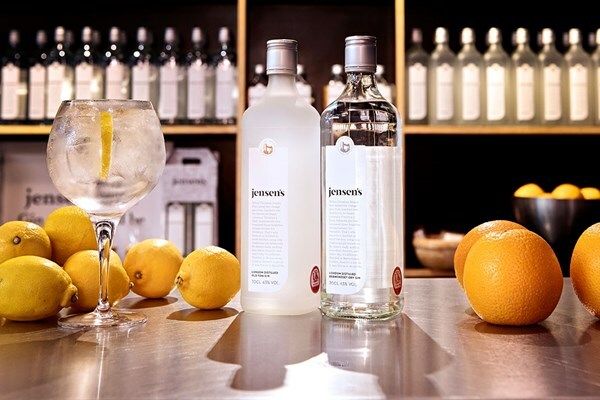 Discover the world of gin making with a trip to Bermondsey Distillery, home of Jensen’s Gin. You’ll sample the different types of gin produced at the distillery, and will learn a whole host of fascinating facts about how it’s made, gin’s turbulent history in London, the processes that go into making Britain’s favourite spirit and how Jensen’s went from hobby to high end – the start-up is now stocked in world-renowned stores including Selfridges and Fortnum & Mason? and poured at the world’s best bars. Don’t forget to visit to visit the shop where you can purchase your favourites to take home. Available from BuyAGift. The award winning Ultimate Collection comes with a beautiful blue ribbon and bow so you don’t need to worry about decorative touches. Each box contains 16 delectable chocolates using ten recipes guaranteed to impress Dad this year. The recipes include Sticky Toffee, Praline Perfection, Caramel Macchiato, Lemon Meringue Pie, Death by Chocolate, Le Crunch Chocolate, Zesty Orange Chocolate, Hazelnut O’Brien, Double Chocolate Truffle and Simply Chocolate. The Ultimate Collection is available at Tesco.